I love finding new (to me) small stitches as it is always good to expand your repertoire beyond your traditional small stitches. I continue to be amazed at how many small space stitches are out there. Today's is especially cute! 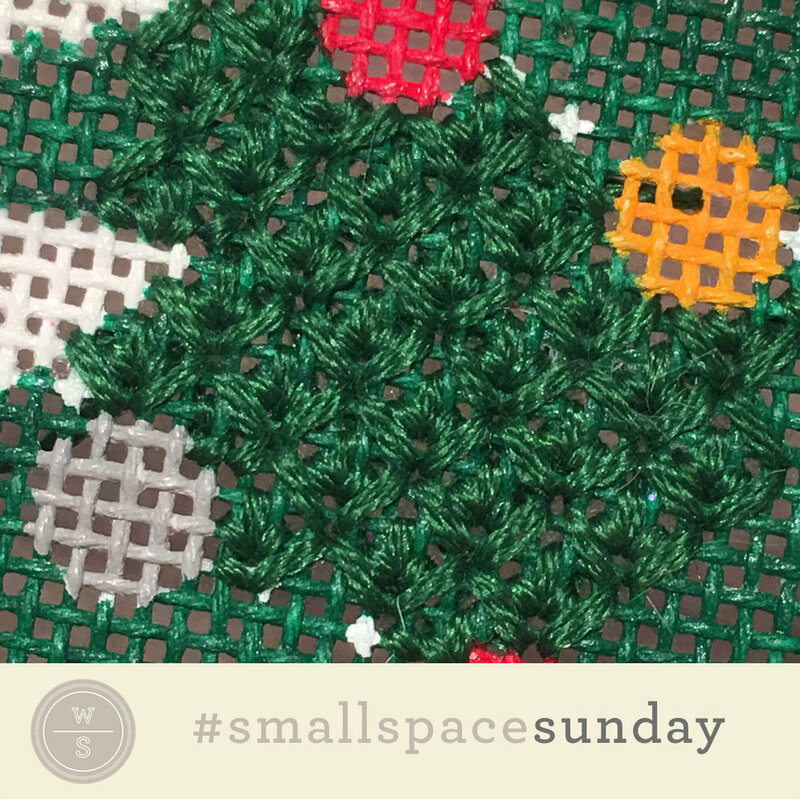 I love a good leaf stitch and today's is a perfect one for a small space. It's offers generous coverage and is just plain cute. The diagram is colored to offer clarity on the steps. Personally, I would stitch the diamonds first (dark gray lines) and add the leaves afterwards (light gray lines). As always, thread selection truly depends on the look you are going for. Clearly, this stitch would make a great tree or shrub. A single overdyed floss or silk would be lovely (for the entire stitch). If the area has room for more personality, consider using two different shades of a single color. 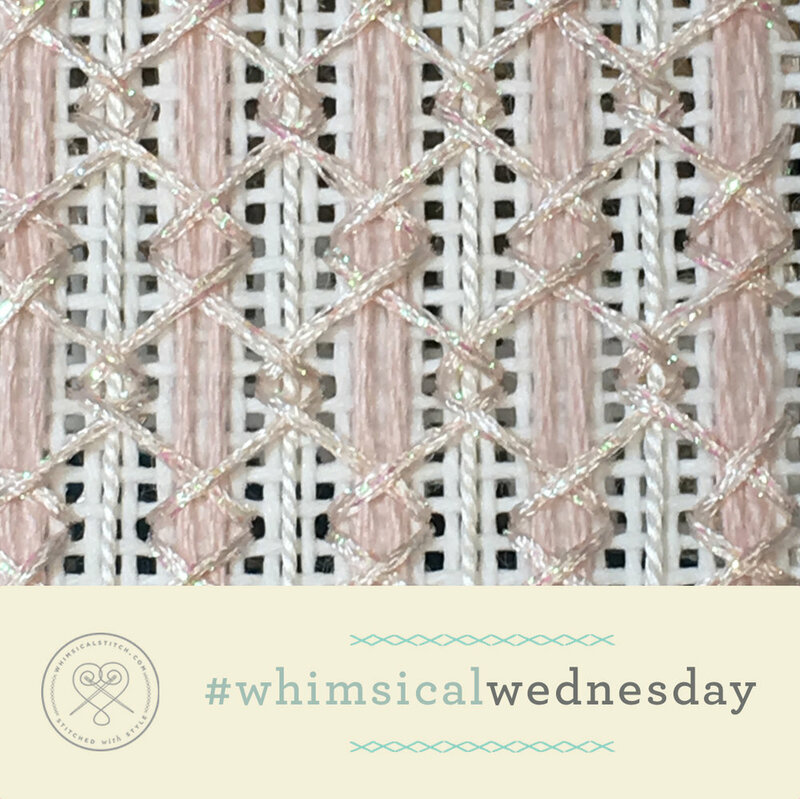 The stitched sample uses three plies of Soie D'Alger on 18-mesh. Adding one more ply certainly wouldn't hurt. The diamonds around the small leaves extend its appeal beyond greenery. If this isn't going to be foliage, for goodness sake, have fun with dramatic color and finish combinations. Frankly, it would make an adorable coat or a floor covering. For the coat, I think a combo of Very Velvet plus a deep Kreinik Metallic or Entice would be gorgeous. For a lighter look, try silk perle (Rainbow Gallery Elegance or Subtlety, or Gloriana Princess Perle) for the diamond and a Petite Silk Lame for the inside.